Home / Uncategorized / I’m ready! When the student is ready, the teacher will appear. ~Buddhist proverb. 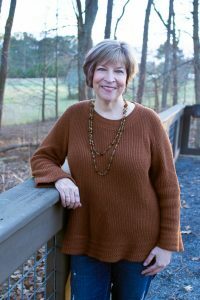 I have been trying to minimize the clutter in my home for as long as I can remember. I’ve read dozens of books on the subject, watch countless hours of television, and made numerous attempts to get rid of unused, unneeded items in my house. But nothing has ever resonated with me like Marie Kondo‘s Tidying Up. On the heels of the success of Kondo’s 2014 book The Life-Changing Magic of Tidying Up (which somehow never made it onto my radar), Netflix created this new series Tidying Up, in which Kondo teaches families how to organize their possessions, keeping only those items which “spark joy” and chucking the rest with a word of gratitude. Each episode begins with Kondo kneeling on the floor and introducing herself to the home, thanking it for its protection; then, she guides the residents, step by step, as they sort of their possessions by category (not by room), beginning with clothing. Even her method of folding and storing clothes was a revelation to me. She recommends folding as opposed hanging; she folds items neatly into thirds and tucks them vertically instead of horizontally into drawers. Why didn’t I ever think of that? It’s a much better use of space and everything in the drawer is visible – a welcome change from digging deep into a pile for a particular shirt and messing everything on top up in the process! 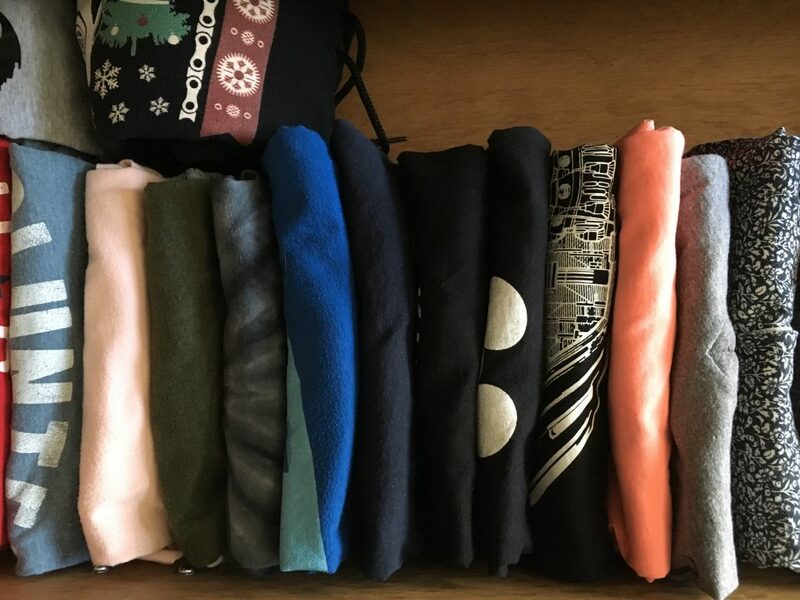 The show is SO inspiring that my 22-year old son jumped up in the middle of the first episode, grabbed all his t-shirts, and began refolding them, Marie Kondo style (see photo, above). Since we started watching a few days ago (we have finished four episodes of the existing eight) we have taken down and put away all the Christmas decorations and put the house back in its pre-holiday state, purging a number of items in the process. And yesterday we cleaned out our designated “junk drawer.” Most of what was in there went into the trash or the donation bin; what is left (picture hangers, batteries, light bulbs, and candles) is organized, visible and accessible. Already, the house feels feels more spacious and remarkably calmer. It’s a trend we both want to see continue. We didn’t get into this mess overnight and it’s going to take us (especially me!) a long time to get out of it. My hobby room is going to pose the biggest challenge (and I’ve already shed a few tears at the mere THOUGHT of it); my piano studio, with its five bookcases, a dozen baskets, and several banker’s boxes filled with literally thousands of books and pieces of sheet music, is a close second. But eventually it WILL get done; in keeping with my “one word” of 2019, REJUVENATE, my goal is to have sorted through every item in this house by the end of the calendar year. I’ll post updates as I go. What about you? How do you win the battle against clutter in your home?